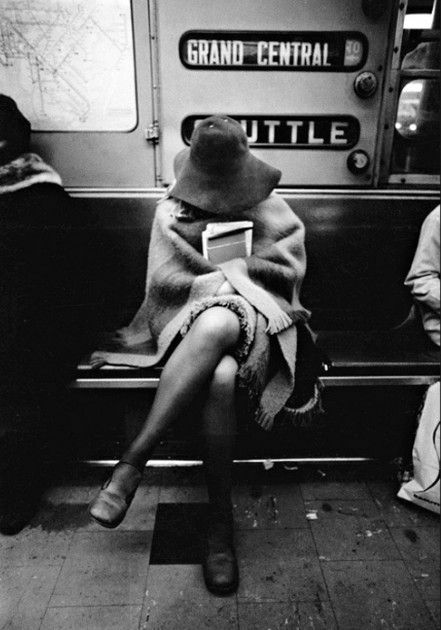 For as long as I can remember, reading has been one of my greatest joys. I definitely read for pleasure, but the books that I love and treasure the most are the ones that inspire me to expand my thinking and become a better person. I keep my favorites stacked at the edge of my bed, so that I can always go back to them when I am looking for inspiration. These five books are some of my favorites: filled with insights, observations, true stories, and research on everything from creating better habits to finding meaning and purpose, and becoming healthier and happier. Each of these books has impacted me so profoundly that it’s my great pleasure to recommend them to you! A life-changing book for me. During the Holocaust, Frankl spent three years as a prisoner in the Auschwitz and Dachau concentration camps. This first part of the book is a memoir. A retelling of the unthinkable experience of living in the concentrations camps and the power of the human spirit to transcend suffering. 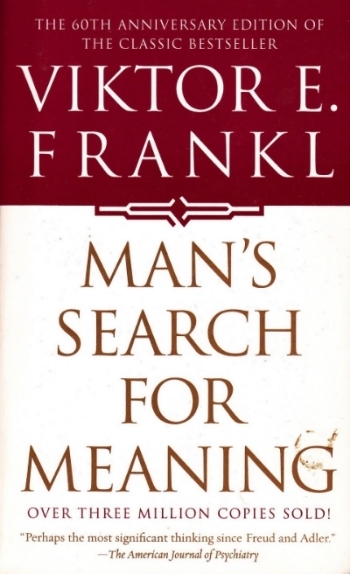 The second part of the book explains Dr. Frankl's philosophy of psychotherapy which involved identifying a purpose in life to feel positively about, and then imagining living that purpose in your mind. "The truth - that Love is the ultimate and highest goal to which man can aspire. Then I grasped the meaning of the greatest secret that human poetry and human thought and belief have to impart: The salvation of man is through love and in love." One of my favorites to recommend! Quick Summary: "What the mind can conceive, and believe, it will achieve." 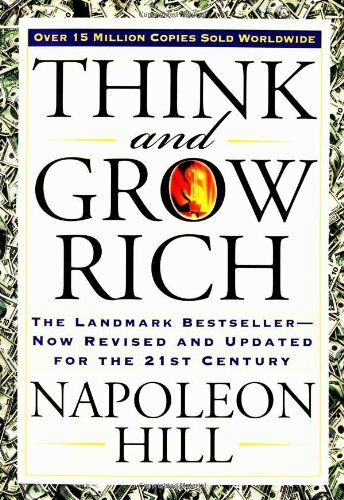 Written 80 years ago after the author spent 20 years researching the accomplishments and common characteristics of the 500 most successful people of his time. The book sets out the 13 key principles for success identified through this research. Habit Change is fascinating to me and is central to all of the work that I do with my clients. How do some of us wake up for 6 a.m. jogs every day? What leads people to develop shopping addictions? Why do people brush their teeth every day while never remembering to stop at the post office after work? 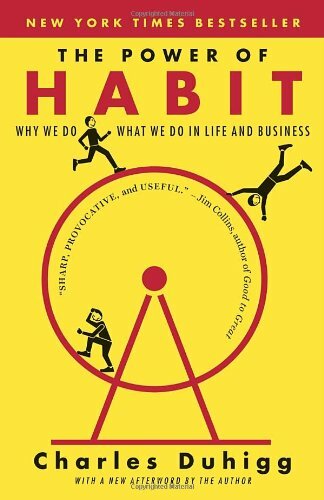 Charles Duhigg answers these questions and more in The Power of Habit, a well-researched book on what motivates us to make the decisions we do in everyday life and in business. Also given to me by my best friend.....She always knows what I should be reading. The most important and profound message that I got from this book is that we are NOT our thoughts, we are actually the “observer” who hears the thoughts. "The best way to free yourself from this incessant chatter is to step back and view it objectively," Singer writes. "There is nothing more important to true growth than realizing that you are not the voice of the mind--you are the one who hears it." Right now I am reading An American Marriage by Tayari Jones, and I love it! Here is the description from good reads: "Newlyweds Celestial and Roy are the embodiment of both the American Dream and the New South. He is a young executive, and she is an artist on the brink of an exciting career. But as they settle into the routine of their life together, they are ripped apart by circumstances neither could have imagined. Roy is arrested and sentenced to twelve years for a crime Celestial knows he didn’t commit. Though fiercely independent, Celestial finds herself bereft and unmoored, taking comfort in Andre, her childhood friend, and best man at their wedding. As Roy’s time in prison passes, she is unable to hold on to the love that has been her center. After five years, Roy’s conviction is suddenly overturned, and he returns to Atlanta ready to resume their life together." Your turn: What book has inspired you lately? I am sharing my favorite (and safe) skincare products for summer with you today in this video! If you are like me, your skin could use a little extra love and attention in the summer. With the exposure to UV rays, air conditioners running on high, swimming pools and outdoor sports, your skin is working overtime. Our skin is our body’s largest organ. We often forget this fact. And we don’t realize that almost all of what we apply to our skin gets absorbed directly into our bloodstream. About a year ago, I was reading a wellness blog by Kris Carr (she is a wellness advocate, writer, cancer survivor) about the toxic ingredients used in skin care products and the lack of regulation in the beauty industry, and her words really made me think. Here I am, working so hard to be the healthiest I can be, dedicating so much time and energy to good nutrition and exercise, yet I’m using skincare products that are full of toxic chemicals. And I’m absorbing them right through my skin. Sugar Scrub, Sunscreen, Face Oil, Body Butter. Email me if you would like a safe skincare consultation or click below to shop the entire collection at my online store. You may already know that beauty products can be a major source of our exposure to unhealthy chemicals. And since the skin is the body’s largest organ and absorbs most of what is put on it, we need to make sure all of our beauty products are healthy and non-toxic! Here is an assignment I give to all of my health coaching clients. Take the time today to count how many beauty products you are using. I 'm talking about everything from your makeup bag to your shower. Now read the labels on those products. Look them up on the Environmental Working Group ( EWG) Skin Deep Database to see how they rate for things like hormone disruption and toxicity. * The Environmental Working Group or EWG Skin Deep Cosmetics Database lets you search more than 62,000 products and rates them based on the ingredients listed on the label. The EWG scores products on a scale of 1-10, with 1-2 being least hazardous. 3-6 being moderate hazard and 7-10 being high hazard. There are over 80,000 chemicals used in commercially available products. Many do not have any safety data. In the past 20 years the US has banned a mere 13 ingredients found in personal care products–the European union has banned 1,300. Anything that you put on your skin can be absorbed into your bloodstream. Consider that we use birth control patches, nicotine patches, and hormone creams because our skin acts as a conduit to the rest of our body. Research has shown there is a connection between toxic chemicals exposure and disease. Here is a list of a few of the harmful chemicals that we know to avoid. If you want to fast forward to see 5 very easy and natural beauty swaps that you can make today, CLICK HERE. Triclosan was all the rage as antibacterial products became ubiquitous in the 1990s. Even the FDA agrees that there is no health benefit to humans who use triclosan, and in 2013 ruled that manufacturers using it had to demonstrate that there were no long-term detrimental effects. Triclosan (in liquid products) and triclocarban (in bar soaps) have been linked to hormonal disruptions, bacterial resistance, impaired muscle function, impaired immune function and increased allergies. Instead, use naturally antibacterial and antiseptic agents like tea tree oil. The FDA acknowledges several studies linking parabens, which mimic estrogen, to breast cancer, skin cancer and decreased sperm count, but has not ruled that it is harmful. According to the European Commission’s Scientific Committee on Consumer Products, longer chain parabens like propyl and butyl paraben and their branched counterparts, isopropyl and isobutylparabens, may disrupt the endocrine system and cause reproductive and developmental disorders. Look for ingredients with the suffix “-paraben” as well—paraben-free products will be labeled as such. Federal law doesn’t require companies to list on product labels any of the chemicals in their fragrance mixture. Recent research from Environmental Working Group and the Campaign for Safe Cosmetics found an average of 14 chemicals in 17 name-brand fragrance products, none of them listed on the label. Fragrances can contain hormone disruptors and are among the top 5 allergens in the world. Our advice? Buy fragrance-free wherever possible. Oxybenzone is one of the highest-risk chemicals found in sunscreen. It acts like estrogen in the body, alters sperm production in animals and is associated with endometriosis in women. Studies on cells and laboratory animals indicate that oxybenzone and its metabolites may disrupt the hormone system. Opt for sunscreens with zinc oxide or titanium oxide or avobenzene instead. If you are new to my website....Welcome and thanks for being here! I specialize in helping women lose weight, balance hormones, and get healthy and fit so that they feel like the most vibrant version of themselves and have the energy to focus on what matters most to them. Shoot me an email I'd love to chat about your health and wellness goals. Here is a an assignment I give to all of my health coaching clients. Take the time today to count how many beauty products you are using. I’m talking about everything from your makeup bag to your shower. Surprised? Now, read the ingredient labels on those products. Look them up at EWG’s Skin Deep database and see how they rate for things like cancer, immunotoxicity and reproductive toxicity. Do those same products make you feel beautiful now? If not, you are not alone. You might be feeling like you just don’t want to know. You’ve been using the same moisturizer, cleanser and toner for a decade and they work—end of story. If that is your mentality, I hope you will reconsider. Two years ago, I was reading a wellness blog by Kris Carr (she is a wellness advocate, writer, cancer survivor) about the toxic ingredients used in skin care products and the lack of regulation in the beauty industry, and her words really resonated. Here I am, working so hard to be the healthiest I can be, dedicating so much time and energy to good nutrition and exercise, yet I’m using skincare products that are full of toxic chemicals. And I’m absorbing them right through my skin. Here are a few simple ways to start cleaning up your beauty routine. 1. Cut down on the number of products you use each day. Sometimes, cutting down on your body burden is as easy as simplifying your beauty routine. Less is more! These days I have only two products in my skincare routine. I wash my face with Beautycounter's Cleansing Balm and I use the Hydrating Face Oil as my moisturizer. That's it! 3. Choose a safe sunscreen. This is one of the easiest healthy changes you can make! We're all going to be buying sunscreen and enjoy the outdoors this summer. So why not choose wisely? I love All Over Sun Protection by Beautycounter. It is 19% zinc and goes on transluscent. Of course, it is not just about what you put on your skin. In addition to using safe skincare products, do you know what makes my skin glow? Taking AMAZING care of myself.....eating nourishing foods, staying hydrated, sweating every day, managing stress and getting plenty of rest. Having a non-toxic skincare routine is essential, but it is only one piece of the puzzle when it comes to looking and feeling your best. "If you really want to make a friend, go to someone's house......the people who give you their food give you their heart." It is true: I love cooking. I am not sure what it is, but when I am in the kitchen, I suddenly feel at home. So I thought I would spread the love and write a blog post on why I like it – and perhaps it will inspire some of you that find cooking to be a chore. Everything about preparing, cooking and sharing food makes me happy. Making something with my own hands feels creative and satisfying, and sharing it with others is a joy and a privilege. The meals I make are one way that I show my love and appreciation for my friends and family. Cooking means something different for everyone — whether it’s for comfort, family, or to entertain and make memories. Tell me why you cook and share your stories in the comments below! It is possible that the simplest and most effective habit for living a happier life is to take a few minutes every day to focus on what we can be grateful for. Find joy, even during tough times. 1. Make it a part of your morning routine. Before checking emails or text messages, make yourself a cup of coffee, find a cozy spot to sit, and take 1 minute to name 10 things (small or significant) that you are grateful for in your life. I practice this every morning by simply counting on my fingers! Another wonderful way to start the day is a morning Meditation On Gratitude. 2. Keep a a gratitude journal. Take a few minutes every evening to write down 3-5 things you are grateful for. These thoughts can be about your day, yourself or your life. Keep your gratitude journal by your nightstand so you will see it and remember to jot down what you are thankful for before going to sleep. Your gratitude journal doesn't necessarily have to be deep or elaborately written. The things you are thankful for can be as simple as "family" or "my home" or "lunch with a friend", for instance. 4. Express your gratitude in person. Tell someone you appreciate them tonight. Send a card or an email to someone who lives far away from you. 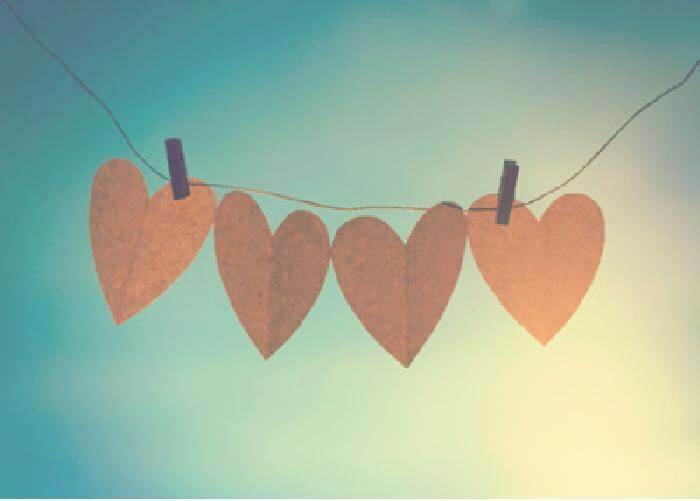 You may even send a quick text to someone right now; "I am grateful for you." Expressing your gratitude no matter how simple, can have a big impact on someone’s day, or even life! Try one of these simple exercises every day for a week to see how it impacts your life! My work is about teaching others how to create a healthy life that they love. Treating yourself in a loving way is a big part of that philosophy because it promotes health and happiness, and gives you the energy to focus on what is most important to you. There are 3 key elements to my "Love Your Life" philosophy. Eat Well - You can transform your life and feel amazing energy by putting the most nutrient rich food in your body every day. Don't focus on the things that you can't have - “I can't eat sugar." Instead, focus on all of the wonderful foods that you CAN have - “I can enjoy this piece of dark chocolate.” When you shift your focus to how GREAT it feels to eat the best foods, you will start to feel more motivated to eat well. Want to get healthy, and have more energy? 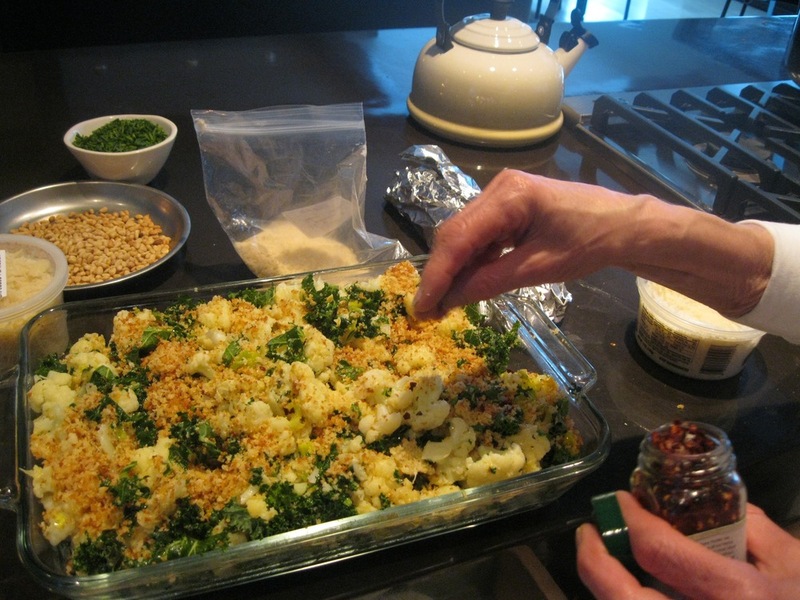 Sign up for my newsletter and get recipes, healthy tips and support from me! Love yourself, and the skin you are in! It is a Valentine's Ladies Night at Tempranillo Restaurant! Come by our table to sample some amazing skin care products and enter to win a special gift! The more we balance the negative thoughts and unhealthy habits that don’t serve us, the easier it is to create a healthy life. If the word "meditation" is not for you, just call it breathing practice. And remember, it’s called a practice for a reason: It is not intended to be perfect! Find a comfortable sitting position, keeping your spine tall and supported. Close your eyes, relax your shoulders and breathe deeply into your belly. Feel your belly rise and fall with each breath. Draw the mind to the breath as you take a big inhale, filling the belly, the ribs, and the chest. Pause at the top of the inhale and count to three. Exhale slowly, imagining the breath leaving first from the chest, then the ribs, and the belly. Pause at the bottom of the exhale and count to three. Repeat this 3 part deep breathing for fifteen breaths. I like to finish my morning meditation by counting 10 things that I am grateful for each day. (I just count on my fingers!) Gratitude is the best attitude adjustment! Here are 5 very easy natural beauty swaps that you can make today. I consider these to be the most important swaps to start with because of the surface area that these products cover on the body and the frequency of use! 1. Body Wash: Commercial body wash often contain parabens and fragrances that are known allergens and endocrine disruptors. I LOVE Dr. Bronner’s all-purpose pure castile soap. 2. Body Lotion: Watch out for parabens, fragrances, dyes in the ingredients. 3. Deodorant: Contain aluminum, triclosan and other harmful ingredients.I finally found 2 natural deodorants that work for me. 4. Toothpaste: Make sure your toothpaste does not contain Triclosan. I also choose to go with a fluoride free toothpaste. All of these products can be purchased at Amazon. 5 Sunscreen: Watch out for the ingredient oxybenzone. I have been a Beautycounter consultant for some time now and it is a brand that I love and trust. I really appreciate the fact that the company not only offers safe and high performing products, but is also working hard to educate consumers and pass legislature that will better regulate the beauty industry. I live in a VERY dry climate so this is my personal skincare regimen. Balancing Face Oil #3 which pairs nicely with the charcoal products (which are naturally drying). Face oils work wonders on acne-prone skin, trust me on this one! Use A face oil morning and night as you moisturizer, or add a few drops to your cream moisturizer. Plank Pushups from Lisa Cohen on Vimeo. A great exercise for improving core strength and upper body strength while working on balance. This one is harder than it looks! I love combining a lot of different things in one exercise. It makes your workout much more fun, effective and dynamic! Enjoy! Join me for some great tips to help you better enjoy the holidays. Here are all the delicious recipes from our Modern Teen Retreat! Lunch was served by our Rock-Star Executive Chef, Krisi Mace! Mango Lassi served fresh berries. Place Lassi in a beautiful glass, add berries,another layer of Lassi, then more berries. Top layer Lassi, grated dark chocolate and a spring of fresh mint. Sear chicken breast in coconut or olive oil. Add 1/4 cup chicken broth. Roast in 400degree oven for 20 minutes till meat is cooked to 160 degrees. Make dressing ,scallions, Tamari,ginger ,lime juice, Siracha, and a tbsp of olive oil. When chicken is done, let it cool, shred in small pieces. Place chicken in bowl, add water chestnuts and. Oranges,. Toss mixture with dressing. Slice avocado in half ( you can keep in in skin or just scoop it out.) On a plate of your choice julienne some kale , spinach or spring lettuces, Place on plate,avocado in middle, and put lovely chicken salad on top. Enjoy. 1/4 cup coconut oil ( can use butter or any other substitute of choice) 1 egg I mashed banana 1/2 cup maple syrup, honey, agave, (sweetener of choice) I cup of Pamela's bake mix 1 cup old -fashioned oatmeal 1/4 cup shredded coconut 1/2 cup chopped almonds 1/2 cup dried cranberries or cherries. 1/4 tsp cinnamon 1 teaspoon orange zest, 1 teaspoon vanilla. Preheat oven to 350 degrees. Cream tho coconut oil and egg together, till smooth,add banana, vanilla, sweetener, and orange zest. Mix well, till blended. Add oatmeal, bake mix, coconut shred, walnuts etc, blend slowly till all blended. I usually use my Kitchen Aid for this. Once again, use parchment paper on baking sheet. Put 1tbsp of dough separate 2 inches apart. Bake for 20 minutes. Cool on rack.